I feel as though I have a lot of balls in the air at the moment – the first time in a long time. 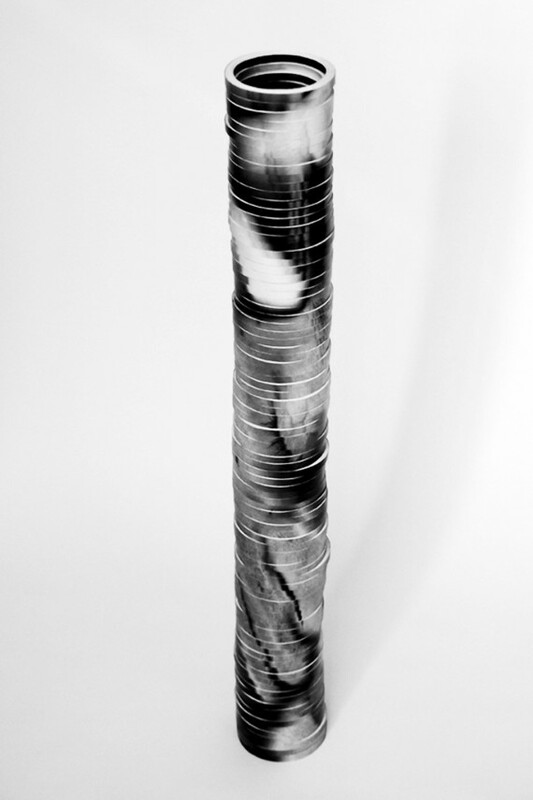 My interest in self-portraiture as encouraged me to develop a body of work in various different mediums. I am currently working on an ongoing video piece called Self though, as I mentioned in my last post, I have also started work on a large scale drawing of my own self-portrait in which I used a grid to intimately study the formal properties of my face. Harrison’s descriptions maybe a cautionary warning of how present confusions related to personal identity may affect wellbeing and threaten social cohesion. Though for me, the issue of self-representation has a very tangible link to the cultural history of self-portraiture and, the growing celebrity of the artist. Hall describes that the genre of self-portraiture did not exist in the Middle Ages or medieval period (lasting from the 5th to the 15th century) though became more prominent during the ‘Renaissance’ of the fifteenth century, an age of exploration and discovery. Prior to this, the ‘science’ of physiognomy – the classical belief that character could be interpreted by a person’s face, had been undermined by the Neoplatonic and Christian belief that the imperishable, invisible soul rather than the corruptible visible body is the true measure of man (2014, 17). Artists of this time were also regarded as ‘anonymous dogsbodies’ whose activities were largely liturgical in subservience to the church and to the will of God. However, with the artistic renaissance of Europe in the fifteenth century there was a renewed interest in classical learning and values, and the Roman cult of individual fame. At the same time, the middle classes sought to imitate the aristocracy and elevate their own status by purchasing art for their homes. In addition to sacred images, many of these works portrayed domestic themes such as marriage, birth and the everyday life of the family. Artists began to occupy a heightened status in society and with that came a need to endorse one’s unique artistic credentials, or brand identity, amongst potential commissioners. A means by which many artists achieved this was to covertly supplant subjects within their paintings that looked like them or bore their likeness. In the fifteenth century this was particularly true of artists lending their likenesses to characters within iconic biblical scenes or depicting themselves strategically placed amongst the upper social strata (see Little Art Talks). One particular painting that I feel is deserving of a special mention is Michelangelo’s Last Judgement, a fresco painted on the altar wall of the Sistine Chapel. The artist rejected the Vatican’s ideas regarding subject matter, replacing the existing decoration of a simple starry night with something far more dramatic (Farthing, 2010: 178). His design instead depicts the Second Coming of Christ and the final and eternal judgment by God of all humanity. 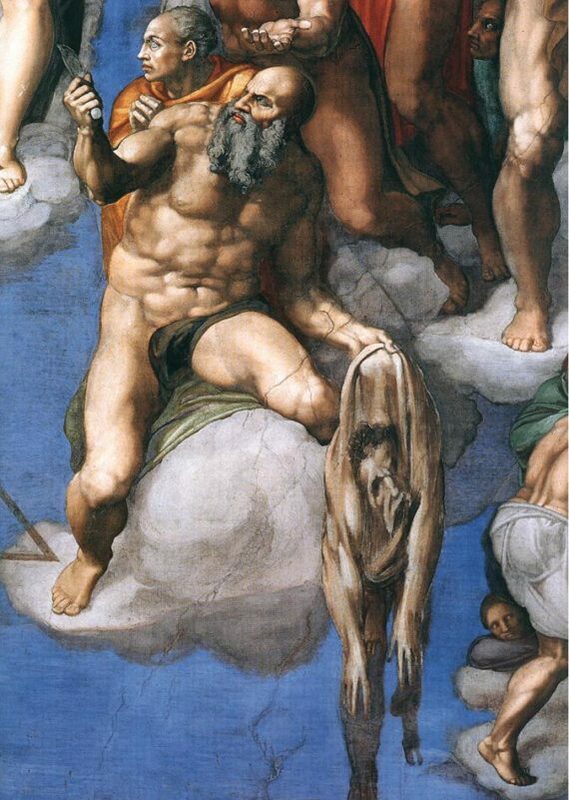 Within the artwork, Michelangelo’s likeness is glimpsed at through the flayed skin held by St Bartholomew, hovering between heaven and hell. Whilst these artworks might not have been considered self-portraits in the conventional sense, they do at least offer a prelude to how artists would break away from the established order of things – making devotional images and artefacts for the church, having started to garner the kind of autonomy that would enable them to pursue their own self-interests. Inspired by Courbet’s painting, I started to meditate on my own portrait and what that might look like – head, shoulders, facial features – a cropped close-up similar to The Desperate Man. In response, I decided to film myself exploring my own face and head in an improvised fashion, using a stills camera. Initially, my improvisations were slow and tentative – feeling my nose, ears, lips – before eventually focusing on the contours of my face and the weight of my head in my hands. I found that by holding the palms of my hands against my ears (like a vice), or pressing my fingers into the hollows of my cheekbones, I could get a much more tangible sense of my head’s shape and size than by simply looking. I also found that undertaking this rather unusual exercise sparked all sorts of other thoughts about human anatomy and the importance of one’s head, not just in self-portraiture, but in relation to life generally. From a relational standpoint, our heads and faces are a form of identification and convey to others how we’re feeling through our expressions. No other body part; when viewed in isolation, has this same unique ability. Our heads are also important because of their links to the brain and our sense of consciousness. You can lose any other part of the body (e.g. limbs, internal organs, skin) and still be alive, and inherently you, though no human being can live independently from their head. 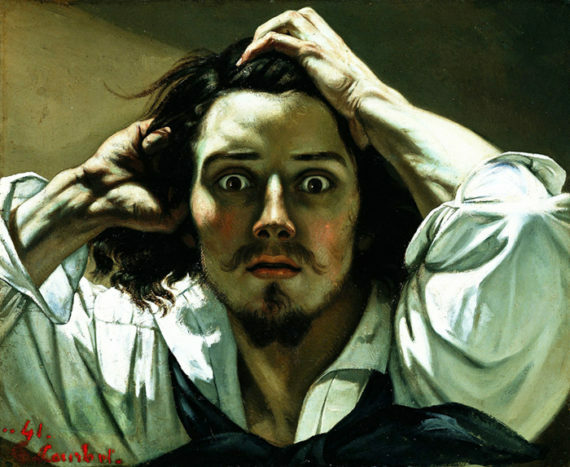 For this reason, the image of Courbet manically clasping his own head is perhaps as much an existential crisis – am I alive, am I real? – as it is about portraying the archetypal tortured artist. Perhaps I am edging towards this understanding of myself in my own way. Farthing, S. (2010). Art: The Whole Story. London: Thames & Hudson. Hall, J. (2016). The Self Portrait – A Cultural History. London: Thames and Hudson. Hegel, G. (1973). Aesthetics: Lectures on Fine Art. Translated by T. M. Knox, Oxford: Oxford University Press, pp.788, 813.